In June, Whole Foods shareholders voted to advance Amazon’s acquisition of the grocery store chain. Since then, the news has been flooded with coverage about different retail communication steps taken, such as reduced prices, Amazon branding in store, and displays of the Amazon Echo. What has been missing in many conversations is the question of how Amazon will run the in-store execution in its fleet of 456 stores. Amazon is known for its distribution networks, inventory, and data. 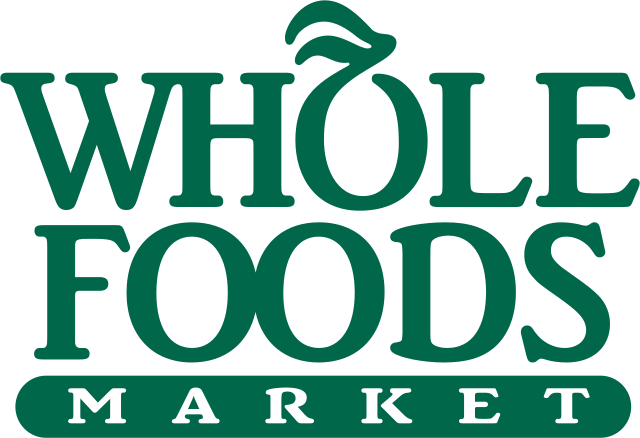 Its acquisition of Whole Foods shows its vested interest in having a physical retail presence. In addition, it also highlights how complex it can be to run brick-and-mortar locations. Retail execution requires expertise in store communications, in-store execution and store team engagement – aspects Amazon is only beginning to learn. No one talks about it, but running a retail store is hard, even for the most technologically advanced. Amazon debuted its first grocery store last year. Amazon Go was outfitted with technology so shoppers could use an app to enter the store, take the product they wanted and go. However, the store opening was delayed and it still isn’t open to the public. It’s currently confined to one location, despite speculations about ambitious expansion in 2017. Amazon plans to open 2,000 grocery and convenience stores in different formats all across the country. The main change - the stores will have no cashier. Customers will be able to pick up any product they want, and just walk out of the store. Many industry experts are wondering about the retail communications tactics that would be required to operate this new format of grocery stores. Not having a cashier can be great in terms of labor costs reduction, but it raises many challenges in retail execution. For example, how will Amazon make sure that the right promos and branding guidelines are displayed across different stores? Or how will customer questions be answered in a way that is in-line with Amazon’s brand? In June, Amazon announced its $13.7 billion acquisition of Whole Foods. This further complicated retail execution matters, since Whole Foods had its own way of planning and executing retail communications. Anyone that’s worked in retail knows how complex it is to run stores. It’s surprisingly difficult to achieve a consistent level of service and store experience across hundreds of physical locations – each with slight variations that reflect local preferences. At a corporate level, Operations and Communications are trying to set and manage shifting priorities, enable operational excellence and clearly articulate where the brand is heading to tens of thousands of employees around the country. Processes, communications, and associate engagement are often broken. The struggle is real. In the stores, managers are trying to forecast staffing and traffic, address customer complaints, pilot new technologies and keep track of a hundred to-do’s. Not to mention controlling that school bus of kids that got dropped off at the store and are now running around the store. Every day, they’re keeping the wheels on the bus while figuring out ways to sell the brand to new people and increase sales from last year. Although complex, physical retail environments are the best manifestation of a brand and a key differentiator. There’s no better way for a company to create connection and community with a shopper than through engaged and inspired store employees. The physical space also gives companies the ability to curate an experience that reflects a brand’s personality in a multi-dimensional way that goes beyond a computer screen. Shopping is no longer just about transactions; it’s evolved to be about feeling, seeing, and experiencing a product or brand. Even though e-commerce has been steadily growing, it is mainly focused on more commoditized products such as books, media, and consumer electronics, and is still “only” 20% of the total global commerce. Brick and mortar remains the most popular shopping channel for consumers and can’t currently be matched by online when it comes to customer experience. However, while 85% of customers want a unified experience across online and offline channels, only 35% report they actually get it. There is a clear “cross-pollination” between online and offline channels. A recent study by Accenture showed that 78% of shoppers are “webrooming” (browsing online, then purchasing in a store) vs 72% “showrooming” (viewing in a store then purchasing online). Apple realized that even though less than 20% of sales come directly from physical stores, the physical stores enhance the overall brand experience, and have a huge benefit to the brand perception of Apple. Even though the stores generate only $12/visitor in profit in the US, they generate over $5,000 in revenue per square foot, which is almost 60% higher than any other retail brand. Although many factors are responsible for this stellar performance, flawless retail communications is one of the most important factors. Customers can approach any store associate and get every question answered, including accessing their online account, and repairing their hardware. Retailers that are able to combine the responsiveness and convenience of online with the richness of the physical store experience will win the hearts and wallet-share of shoppers. Amazon is the second tech company making a go for it, and I can’t wait to see what’s ahead.